The new My Move feature is aimed at enabling women to have more control over the flow of conversation on Tinder. When it comes to online dating apps, women’s safety is of highest priority. Keeping this in mind, Tinder is reportedly testing a new feature in India that enables women to have more control over the flow of conversation on the online dating platform. As per Reuters, the company is enabling a “My Move” feature that enables women to initiate conversation on the online dating service. Currently, when two users get a match, they can start conversing immediately but with the new feature, only women will be able to start a dialogue. The feature can be enabled via settings and the company is said to be testing the function for several months. If successful in India, the feature will reportedly roll out to other regions as well. The new feature is similar to the principle on which the dating app Bumble works. It will be available for iOS users from today. 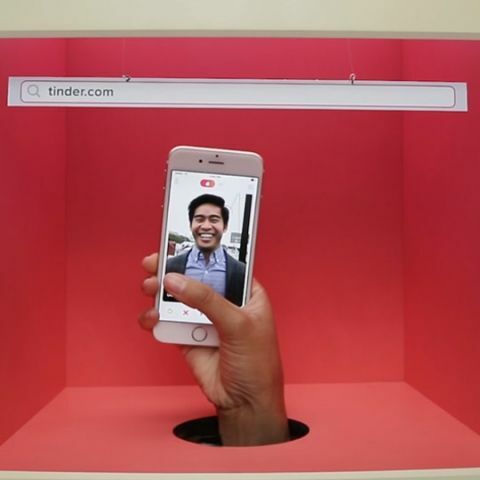 “At Tinder, we are constantly evolving our platform to help create a low-pressure environment where our users feel in charge of the connections they make,” said Tinder India GM, Taru Kapoor, in a statement to TechCrunch. “By giving our female users the ability to exclusively send the first message if and when they want to, My Move provides women the autonomy to choose how to engage with their matches and empowers them to control their experiences. We believe that true choice is letting women be who they are and empowering their choice to shape their own identity and experiences,” Kapoor added. The announcement of the new feature comes soon after Facebook started testing its dating service in Columbia. The company already has an advantage with its huge user base, which has slightly dwindled since the Cambridge-Analytica fiasco came into light. However, the new service is said to ask users to answer some questions and start conversations based on similarities that two people share in their profiles. Facebook Dating will also benefit from its integration with Groups and Events and other features of the social media platform to expand the dating pool and encourage users to meet in public. You can read more about it here.